Cimorene is everything a princess is not supposed to be: headstrong, smart, and eager for adventure. . . .and bored. So bored that she runs away to live with a dragon. And not just any dragon, but Kazul -- one of the most powerful and dangerous dragons around! Of course, Cimorene has a way of running into dangerous characters, and soon she's coping with a witch,a a jinn, a death-dealing talking bird, a stone prince, and some very oily wizards. If this princess ran away to find some excitement, it looks like she's found plenty! 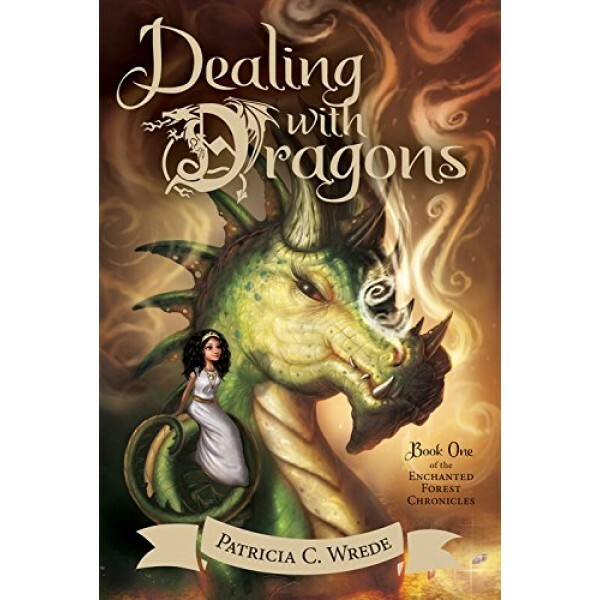 Dealing with Dragons is a humor-filled and adventure packed young adult fantasy novel written by Patricia C. Wrede. It is the first book in the Enchanted Forest Chronicles series. Cimorene, princess of Linderwall, is a classic tomboy heroine with classic tomboy strengths -- all of which are perceived by those around her as defects: "As for the girl's disposition -- well, when people were being polite, they said she was strong-minded. When they were angry or annoyed with her, they said she was as stubborn as a pig." Cimorene, tired of etiquette and embroidery, runs away from home and finds herself in a nest of dragons. 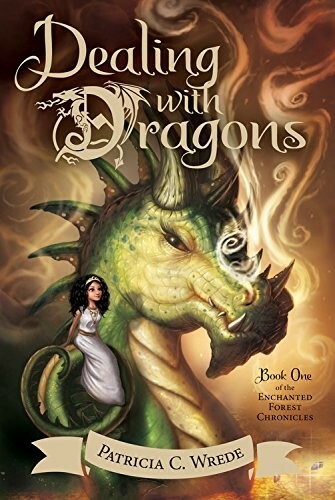 Now, in Cimorene's world -- a world cleverly built by author Patricia C. Wrede on the shifting sands of myriad fairy tales -- princesses are forever being captured by dragons. The difference here is that Cimorene goes willingly. She would rather keep house for the dragon Kazul than be bored in her parents' castle. With her quick wit and her stubborn courage, Cimorene saves the mostly kind dragons from a wicked plot hatched by the local wizards, and worms her way into the hearts of young girls everywhere.